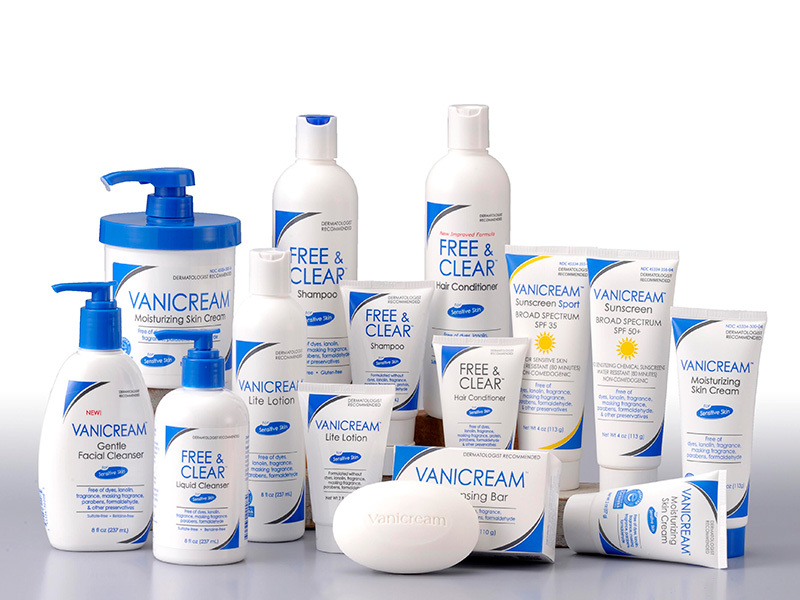 VANICREAM products are specially developed and manufactured for people who need, or want, to avoid many of the common chemical irritants found in the skin care products at your local store. Product line was developed by the Mayo Clinic for sensitive skin. The product line is free of dyes, lanolin, fragrance, masking fragrance, parabens, and formaldehyde. A unique formulation that is easy-to-spread, long-lasting, and non-comedogenic. It protects and helps moisturize the skin. Available in 4oz. Tube and 1lb. Pump. A non-greasy, long-lasting moisturizing lotion that is easy-to-spread, quickly absorbed and non-comedogenic (does not cause blackheads). A mild, gentle liquid cleanser that removes all makeup without drying. It is fragrance and detergent free. (Broad spectrum available in spf 30 & 50+) A light, transparent formula that provides high sunscreen protection without the use of chemical sunscreens.